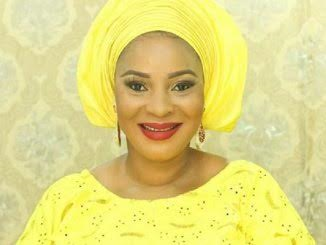 Minister of Information and Culture, Lai Mohammed, has described the sudden death of popular actress Moji Olaiya as a big loss, especially to her family, the movie industry and indeed all her friends and admirers. In a statement issued in Beijing, China Thursday, the Minister said he received the news of Moji’s untimely death with rude shock and disbelief. He said the contributions of the late actress to the growth of the burgeoning Nollywood will never be forgotten. Lai Mohammed prayed for the repose of the deceased’s soul, and for strength and comfort to her family and friends.